NicoNico is holding for the 2nd time, one of the largest event in Japan featuring everything about NicoNicoDouga. And for this year too, the vocaloid scene is also receiving quite some reception. 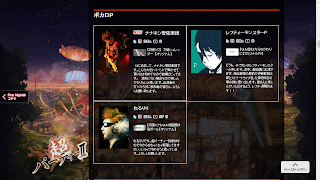 The event will span over 2 days, 27/4/2013 - 28/4/2013. 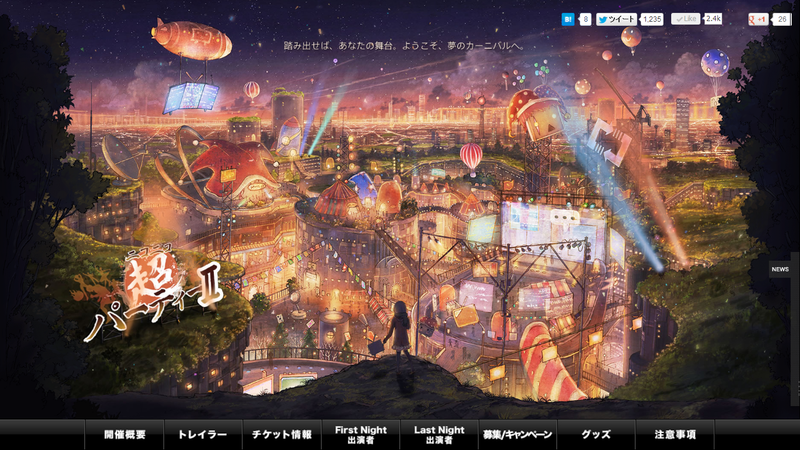 Here are the highlights for Vocaloid fans! 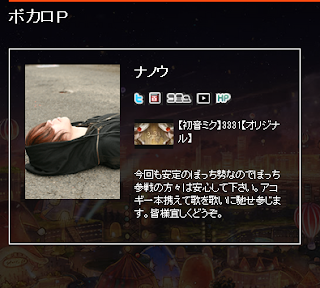 Vocaloid Producer Nanou (HoeHoe-P) will be the only vocaloid producer guest on Day 1. 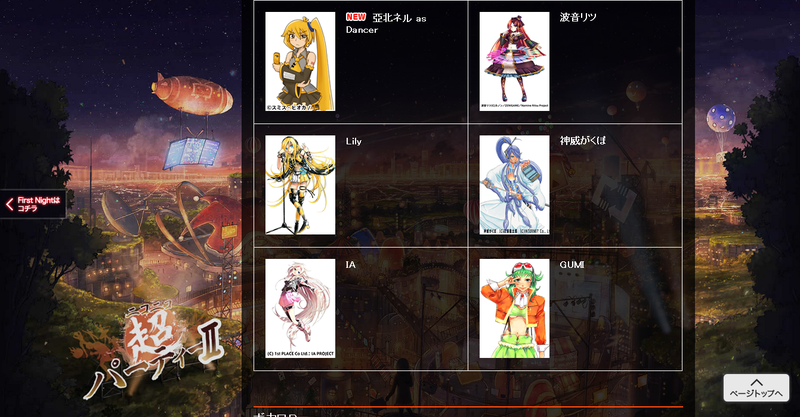 As for Day 2, the Vocaloids make a stand on stage as performers. 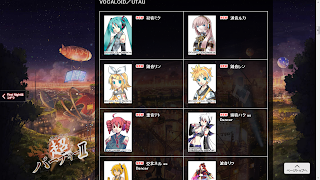 This time, not only limited to Vocaloids, the UTAUloids have been added to the list. 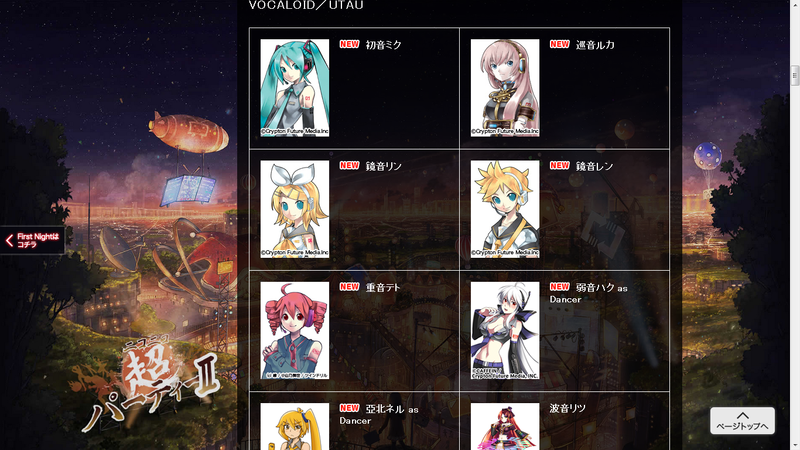 Also, on Day 2, 3 vocaloid producers will take the stage. 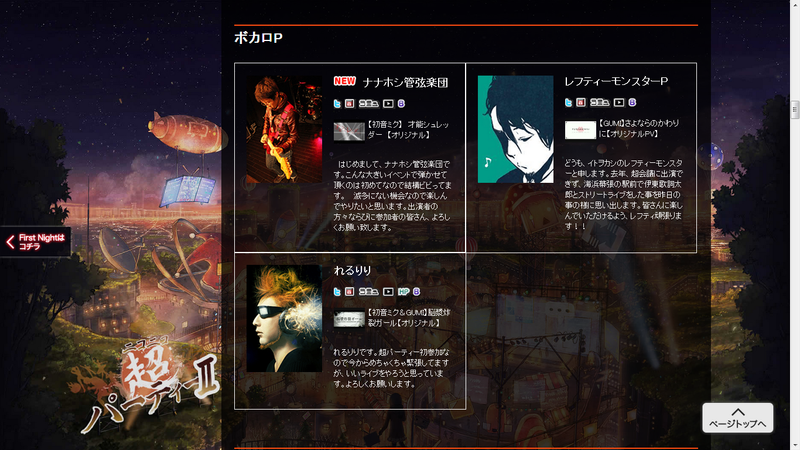 For us who are living at overseas, you can also get their namahousou (live broadcast) tickets from here. 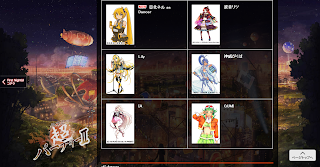 Can you give me the song list of The Vocaloid medley in Nico2 Chou party II?